I went to see Disney’s CG/somewhat-live-action remake of their original The Jungle Book (1967) because my four-year-old son was interested in watching it. Half an hour in I realized I was quite into it, despite my misgivings about flashy digital spectacles like Avatar (2009) or Gravity (2013) that have left me cold with their emphasis on eye candy and zero narrative heft. Not this time. 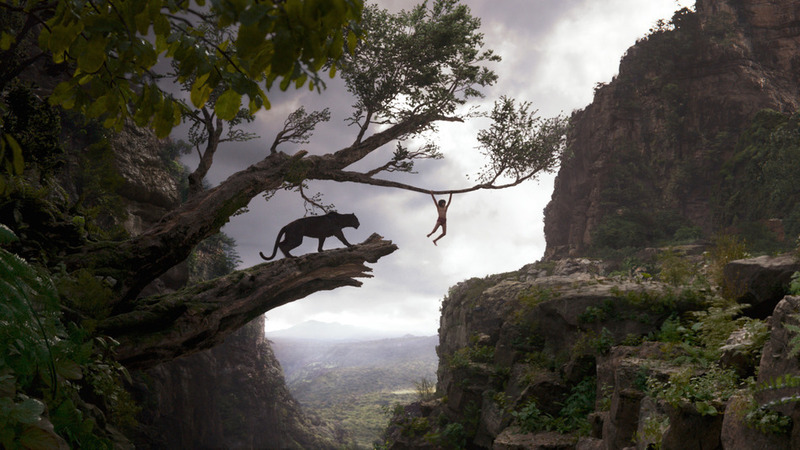 The Jungle Book accomplishes the complicated task of creating a wondrous animated world that looks pretty damn real while also investing the time to craft a fun and compelling story. Most of the credit goes to the voice cast, which includes Bill Murray as Baloo the bear, Ben Kingsley as black panther Bagheera, and Idris Elba as Bengal tiger Shere Khan, all investing their animal counterparts with energy and personality (I was actually kind of scared of Elba’s fearsome villain, but don’t tell anyone). Equally impressive are the action sequences, with cinematographer Bill Pope and an army of animators working together to make you believe feral child Mowgli (Neel Sethi, one of only two real actors in the film) is running with a pack of wolves or dodging a stampede of water buffalos. My son was captivated… and I was too.